Real Estate in Patna in all its class, residential or commercial is one of the most valuable assets that anyone in Patna possesses. A flat in Patna, a residential plot in Patna, a commercial space in Patna, a warehouse in Patna and many more variants of properties in Patna are lifetime value for most of us in Patna. Property in Patna is a precious asset, not only monetarily but emotionally as well. Renting means “THE OWNER” for a time being is allowing “A TENANT” to use the asset for a particular fee AND terms and conditions. To own the property if you seek a LOAN, you have to provide so many documents to prove that you are creditworthy and you will use the loan to purchase property only and pay back the loan (asset of bank) in time and regularly as per the terms and conditions agreed. The same holds true for RENTING. As loan is asset for bank, the property is asset for owner and renting is similar to loan provided. Therefore before renting the owners need to run a similar check as Banks do to provide loans. YES, Banks perform what is called KYC (KNOW YOUR CUSTOMERS) property owners in Patna need to execute KYT (KNOW YOUR TENANTS). 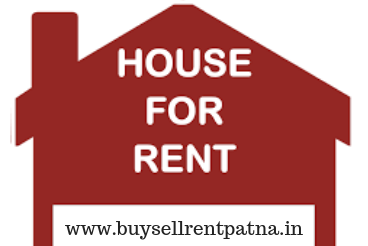 To-Let a property in Patna is always a matter of deep concern. The social and emotional implications are great. 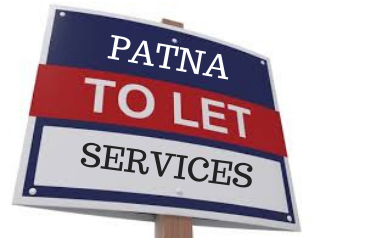 The neighbors complaining, home defiled, late rent and so on are many issues that can cause undue social and economic liabilities if one has rented out to a bad tenant in Patna. These headaches could be avoided to a large extent by KYT. First step of KYT is, demand for an identity card. Students: Ask for current college ID card. Working bachelor: Ask for company ID card and other details like the work span in that company etc. Family: Get Company ID cards for both the spouses if it’s a working couple to whom you are letting out. Additionally ask for the Adhaar card to establish permanent residence and other details. Company or Business: Complete details of company, current account statement for last three months. Ask details of directors or promoters of business. Make sure you always have at least TWO references to the tenants by a fair minded and a sound person as near to the location of property as possible. . It just makes the whole procedure safe and trustworthy and increase the creditworthiness of the tenant. One can even ask for the reference of last LANDLORD, if they were staying in rent beforehand. Always makes your terms and conditions are clear to the tenant. For e.g. only vegetarians allowed, or if its a few male tenants sharing then no females allowed etc. Always take into consideration what the society in which the flat is situated expects and term it accordingly. Fix the rent collection date and be firm on it and also on the method of payment (cash/cheque etc). All the details need to be specific and to the point and very clear. Always check the tenant’s background as its highly necessary precaution. Check their habits and nature. Student: if possible have a word with the college authorities and check out their records. Also know more about their family background for e.g. where do the parents stay, what’s their occupation, if they know anyone else in the city etc. Working Bachelors: check the company`s credit, employment verification also know their habits, check into their family background to get more idea about the individual. Similar checks to be run for families and businesses too. Tenant verification is mandatory. You have to verify the information given by the potential tenant with your areas police station in Patna, so they can run a background check on criminal history of the tenant, if any. Only then you can rent out your home. Tenant verification forms are available at your area`s police station. Not submitting the form is a punishable offense. Always check out the credentials of the potential tenant. Make sure the credentials are credit worthy.